When did cities begin to thrive in Poland? Was it associated with the German colonization in the thirteenth century, or had the Piast developed these centres several hundred years earlier? Prof. Zbyszko Górczak of the Institute of History, A. Mickiewicz University in Poznań, presents contemporary position of Polish historiography. "The history of the dispute between the Polish and German historiographers is long and dates back to the birth of modern historiography in the second half of the nineteenth century. The dispute was intertwined with nationalist slogans, German scientists and politicians viewed the matter of the formation of cities in the East as evidence of the inferiority of Slavic civilization, which of course gave rise to protests of Polish science. The conflict has not died down until the end of the communist era in the late 1980s" - explained Prof. Górczak. From the very beginning, Polish scientists argued the native and very early birth of urban life in Poland. This was supported by renowned scholars like Prof. Gerard Labuda and Prof. Henryk Łowmiański. At the other extreme were German researchers, convinced that the idea of the formation of the cities was brought to the East only by immigrants from Germany. "I think that the main cause of the controversy was a different understanding of the term. This was the root of the conflict, but, of course, political considerations were also important" - said the historian. As explained researcher root of Polish word for "city/town" - "miasto" comes from the Slavic "mesto", which simply means "place". "Miasto" became the name due to the specificity of place, a village that was clearly different from the surrounding villages. "It was so different that this specific name stuck to it. The settlement was much larger than others in the area. 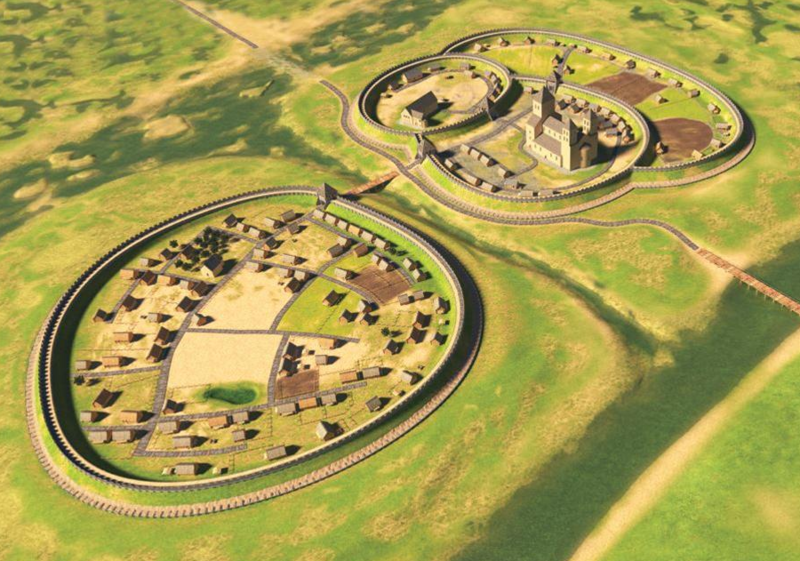 It had more residents and dense build-up, often surrounded by fortifications " - he added. According to the historian, the administrative and church functions also indicate urbanity, however, according to the Polish scientists, the most important features were trade and craft activities. Piast castles towns maybe even earlier tribal towns were considered urban. "In the 1960s, Polish historiography admitted that it could not be said that the Polish castle towns were legally separate entitles. Therefore, researchers focused on proving that they performed economic functions and were centres of crafts" - said the historian. Due to the fact that few documents have survived from this period, efforts were made to support these theories with archaeological discoveries. However, problems were encountered in the interpretation. For example, found weights were indeed evidence of trade. But whose? Carried out by local residents, or a travelling trader? According to the researcher, breakthrough was the publication of Prof. Karol Buczek, who proved in 1961 that one could not speak of such a thing as a city invested in Polish law. There were castle towns with market places, but still they were not economic centres. It was not until the thirteenth century that Poland saw a significant change in this respect. According to historiographers from Western Europe, including Germany, the main feature of towns were specific legal considerations, which distinguished residents, creating a privileged commune, from other local communities - and not the size or the architecture of the settlement. Residents of settlements which became towns received very special rights and privileges from the feudal lord - a prince or bishop. "This understanding of the term in Western Europe dates back to ancient times - Roman municipia, but this new way of understanding the city was born only in the eleventh century in the countries of the north-west, in the area between the Loire and the Rhine" - added the professor. It was a time of accelerated demographic boom that steadily continued until the mid-fourteenth century. Then came the outbreak of the "black death". Population growth was followed by the development of economic life. "This favourable situation translated into an increase in wealth. New villages were forming, preceded by forest reclamation and drying wetlands. People began to move into hitherto uninhabited areas" - said Górczak. Revived trade naturally focused in the former Roman centres, which previously languished, and near cathedral churches, abbeys, castles and at crossroads. In such places, markets began to appear spontaneously at first. "Soon, the feudal lords noticed that having such a centre was beneficial, because it translated into revenue" - explained the researcher. In addition, traders offered goods of much better quality than local peasants. Therefore, lords were founding such trade centres and making sure they continued to function. "This way, traders gained privileges. Local rulers ensured their safety on the roads, gave customs relieves and promised to respect private property. Feudal lords hoped that traders would settle in their area" - said the professor. This set of guarantees was called traders’ rights. By being granted these rights, settlement residents were given a special status. Traders quickly realized their importance and strength. They began to seek to achieve more than only economic privileges. They wanted to have a guarantee of independence, self-government, the representation of their interests before the feudal lord. Commune were buying certain rights. And so, year after year, the supremacy of the feudal lords was being limited. Professor. Górczak believes that this was the birth of the modern Western European model of building a city. In this sense, the city was largely a commune - a community with rights and privileges, including political privileges and a government, legally distinguished from the local villagers. "W must admit that so understood cities did not exist in Poland before the thirteenth century. In this respect, German historiographers were right. Such a model of urban life was brought from the West and appeared in Poland in the early thirteenth century" - said Prof. Górczak. It soon turned out that the model organization of settlements on the German law was more efficient, better suited to the needs of the economy, more profitable than previous models. When it appeared, it quickly replaced other forms of urban life in Poland. "Currently, the prevailing view among Polish historiographers about the origins of cities in Poland is as follows. Beginnings or their organization indeed existed. We can not speak of the foundation of cities in Poland by the Germans on Greenfield, since colonizers from the West were being invited by local, Polish dignitaries. Then, for several years, the newcomers were receiving support to encourage them to stay and enjoy the sound profits. Colonizers brought knowledge, new technologies, contacts, revived the trade of goods and currency" - concluded the historian.